Dr. Gregory Gores knows first-hand the importance of training the next generation of physician scientists interested in Primary Sclerosing Cholangitis (PSC). It was during his own fellowship training at Mayo Clinic that the North Dakota native, as a mentee of Dr. Nicholas LaRusso the nation’s leading expert on PSC, first witnessed the dramatic effect liver transplantation can have on the lives of patients. 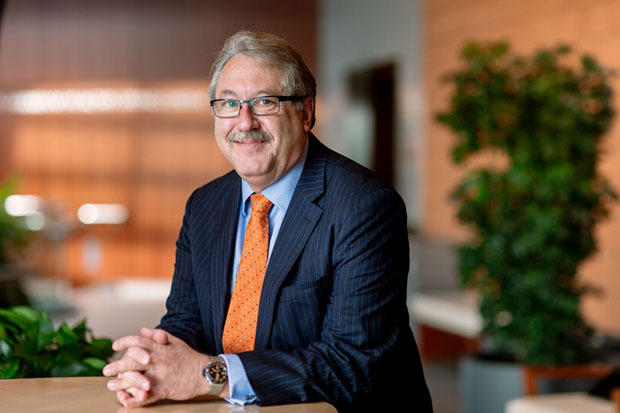 Following his residency and fellowship in Mayo Clinic’s Division of Gastroenterology and Hepatology, as well as further training in cell biology at the University of North Carolina Chapel Hill, Dr. Gores joined the Mayo Clinic staff in 1988. Dr. Gores says that making the transition from a fellowship trainee to a physician scientist was made easy by Dr. LaRusso, who he now works side-by-side with to investigate PSC disease processes and treatments. For example, in recent years the duo established animal models that mimic various phases of PSC in humans in order to understand the drivers of the disease, which then can be targeted for therapy in a pre-clinical setting. In addition, Dr. Gores' research program has been at the forefront of investigations into bile duct malignancy as a dreadful complication of PSC. He helped develop a treatment protocol for the bile duct cancer called cholangiocarcinoma, which affects approximately 10 percent of all PSC patients. The biggest obstacle to ensuring the protocol helps patients: early diagnosis of the cancer. The fact that cholangiocarcinoma doesn’t cause symptoms until later stages, and isn’t visible on a CT scan image because it grows up and down the bile duct mimicking PSC advancement, further complicates diagnosis. To address this challenge, Dr. Gores’ team worked with pathologists to develop viable approaches for early detection of cholangiocarcinoma. They used sophisticated testing to find abnormal cells present in bile or on brushes of the biliary tree that signify malignancy. The identification of such early-stage abnormal cells is critical because once they develop into bigger tumors, the location of the tumors, at the junction of the bile ducts where the arteries and veins lay, makes removal impossible. While making significant contributions to PSC research, Dr. Gores has also served as the Chair of the Division of Gastroenterology and Hepatology (2005 to 2013) and as Executive Dean for Research for all three Mayo Clinic campuses for the past six years.